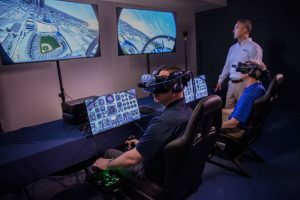 NEW YORK (October 9, 2018) – FlightSafety International and Global Simulation Incorporated have been awarded a contract to provide 10 Mixed Reality Training Systems for the T-38C program. The new training systems will be installed at Euro-NATO Joint Jet Pilot Training (ENJJPT), 80th Flying Training Wing, Sheppard AFB, TX early next year. The 80th Flying Training Wing hosts the world’s only internationally manned and managed pilot training program. Training is expected to begin in March. The systems will support ENJJPT and Introduction to Fighter Fundamentals (IFF) offering Air Education and Training Command (AETC) its first mixed reality flight training system. “FlightSafety’s Mixed Reality Flight systems provide an immersive training experience that enhances and accelerates pilot and crewmember training in a variety of learning environments,” said Ray Johns, Executive Vice President. The mixed reality experience is delivered through a headset that is integrated with FlightSafety’s VITAL 1100 Visual System, offering the same high fidelity virtual environment utilized in the Air Force’s existing T-38C Talon and T-6 Texan II as well as numerous other United States Air Force flight training devices. This new advanced technology system enables the user to see and interact with a virtual cockpit, checklists, and notes within a specific flight environment. It offers customized flight controls for fixed-wing aircraft as well as rotary wing aircraft. The system is comprised of Commercial-off-the-shelf components and utilizes the latest advances in technology. It includes a high resolution pass-thru camera that enables pilots to interact with a real world environment. The FlightSafety VITAL 1100 image generator can present an extensive variety of existing visual databases or those provided by the operator. The system is easily transportable and can be operated without an internet connection. Global Simulation Inc. has been providing simulation solutions since 2002 in the areas of host software development, host integration, display solutions, and simulation system design. 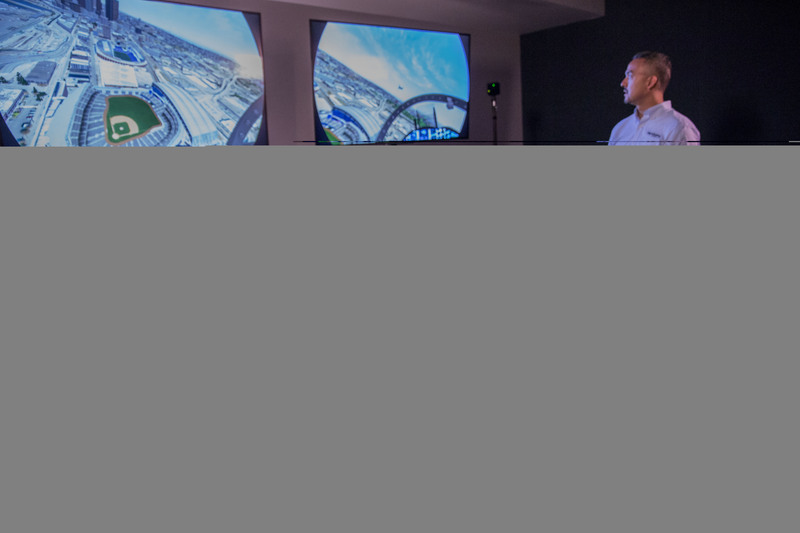 In recent years, GSI has shifted focus to mixed and virtual reality simulation solutions for pilot training and other applications. GSI has provided key simulation components as well as complete training solutions for military and civilian training systems in the US, Europe, Asia, and the Middle East.